Scroll down to see more images of 3D work. 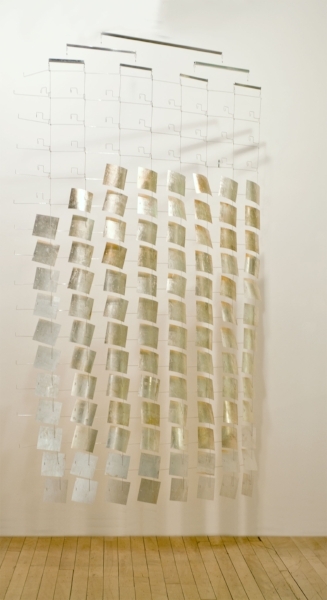 Sunlit Afternoon : silver leaf on DuraLar squares, aluminum structure : this rotates with ambient air movement. It needs a column of air with a diameter of around 8'. Ebb and Flow : beeswax + pigment on 1' square acrylic panels, fabricated hangers : 20'h x 14'w. This was commissioned by and hangs in Beaumont Hospital, Troy Michigan. For information about any artwork, please email me.